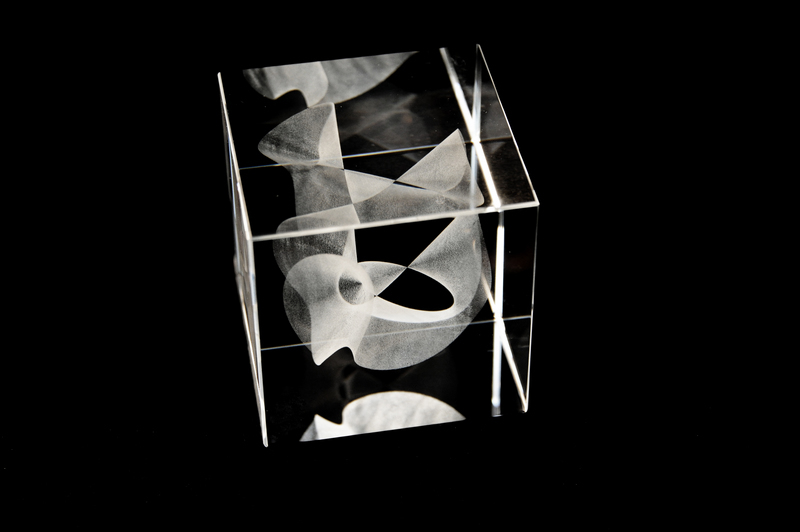 Laser-In-Glass math objects look fascinating both because of their materiality – a solid glass cube -, because of the very high level of detail, and because of the fragility of the presented math shapes. 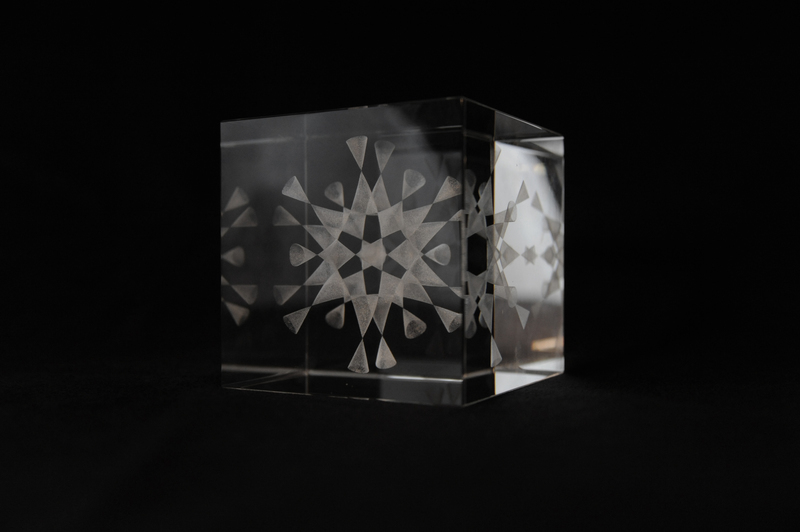 We only have an online-shop for our glass cubes for our clients in Germany, but you may also order all our laser-in-glass objects by simply writing an e-mail to us. Four of our classics are the well-known world record (w.r.t. 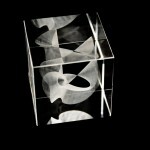 the number of singularities, i.e. infinitely thin points, on them) surfaces presented above. 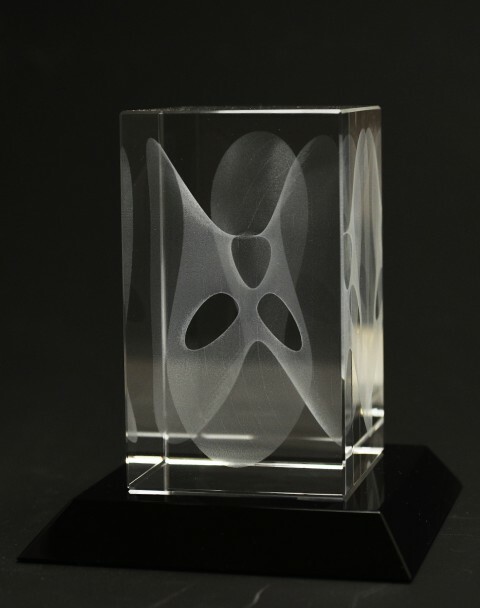 Many more laser-in-glass Math Objects will be presented here in the near future. 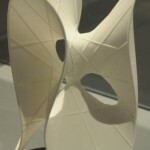 As there are no stability-restrictions concerning the presented mathematical shapes with this method, it is usually quite easy to fulfill clients wishes for new objects. Attention: These prices include German VAT. Depending on your country, there might be lower or higher costs. The shipping costs also depend on your country. Within Germany, the shipping costs are 8,90 Euros. Feel free to contact us for the exact prices which apply in your case. 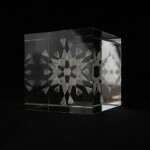 60 x 60 x 100 mm: 99.90 Euros. 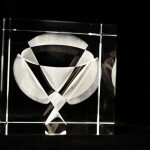 Other sizes and forms such as cubes of size 6cm or 8cm as well as keyring pendants and others are available on request. 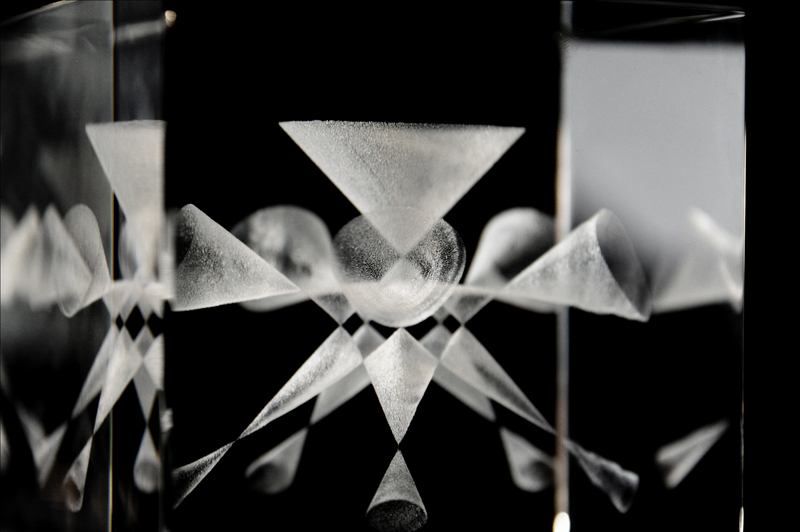 Prices for newly created laser-in-glass objects depend on the amount of time we need to produce the data and also the number of objects your order. The big difference of this presentation method w.r.t. the sculptures is that here there are no stability restrictions. 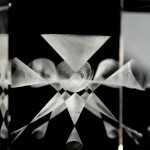 We may have several pieces together in a single glass cube which are only connected by an infinitely small point, but the object won’t fall appart. We may even have a small ball flying above a surface without falling down! 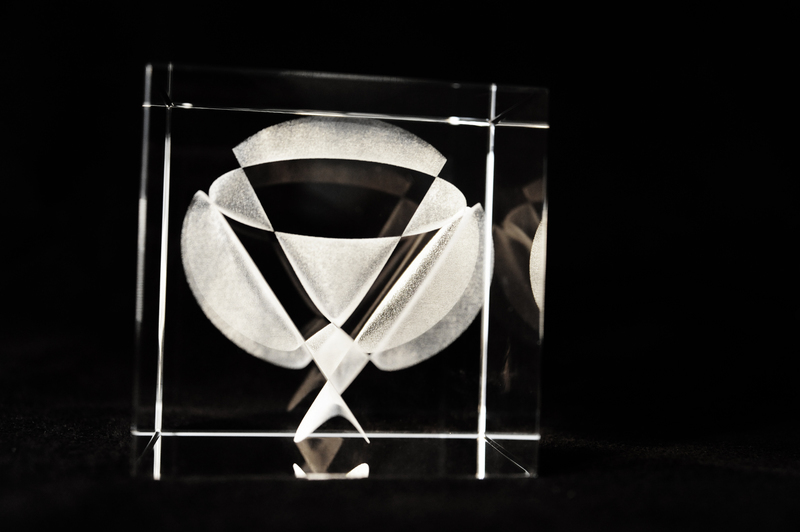 Moreover, the Laser-In-Glass method allows you to partially look through the shape, so that you may even visualize some object inside the surface of a ball or some other closed shape. We used this, e.g., for the presentation of the famous Fresnel Wave Surface which was described by Fresnel in the early 1800s.